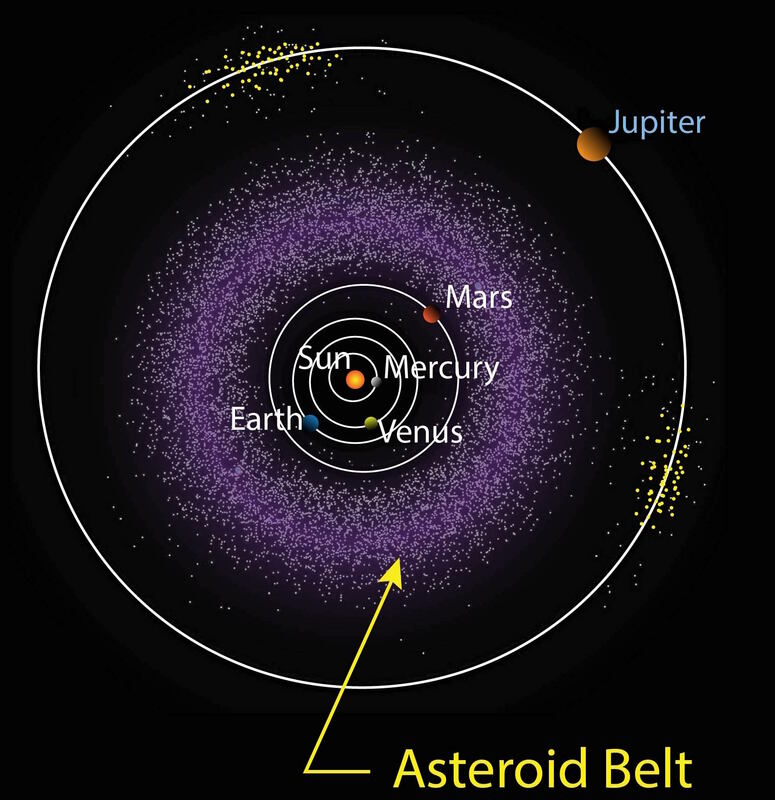 The asteroid belt is the circumstellar disc in the Solar System located roughly between the orbits of the planets Mars and Jupiter. 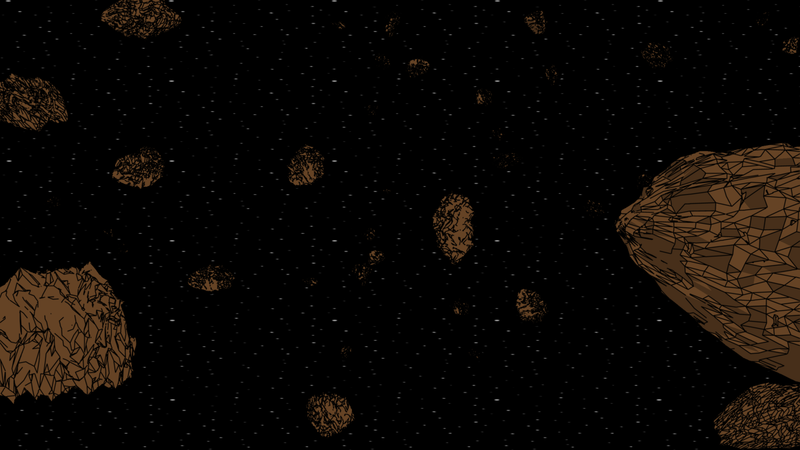 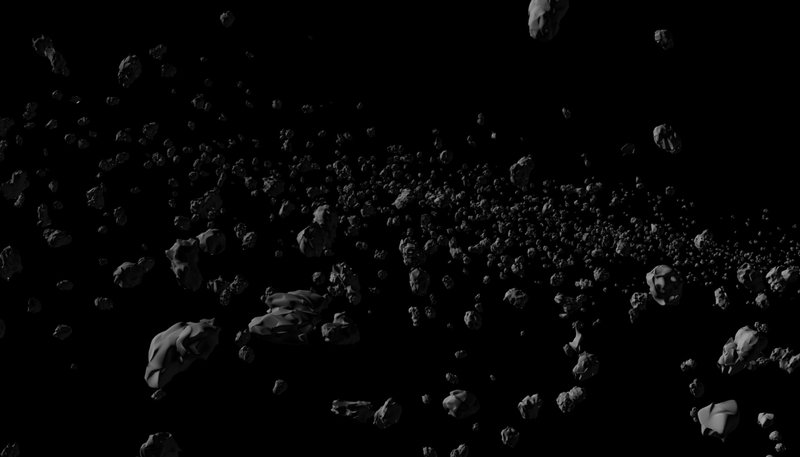 It is occupied by numerous irregularly shaped bodies called asteroids or minor planets. 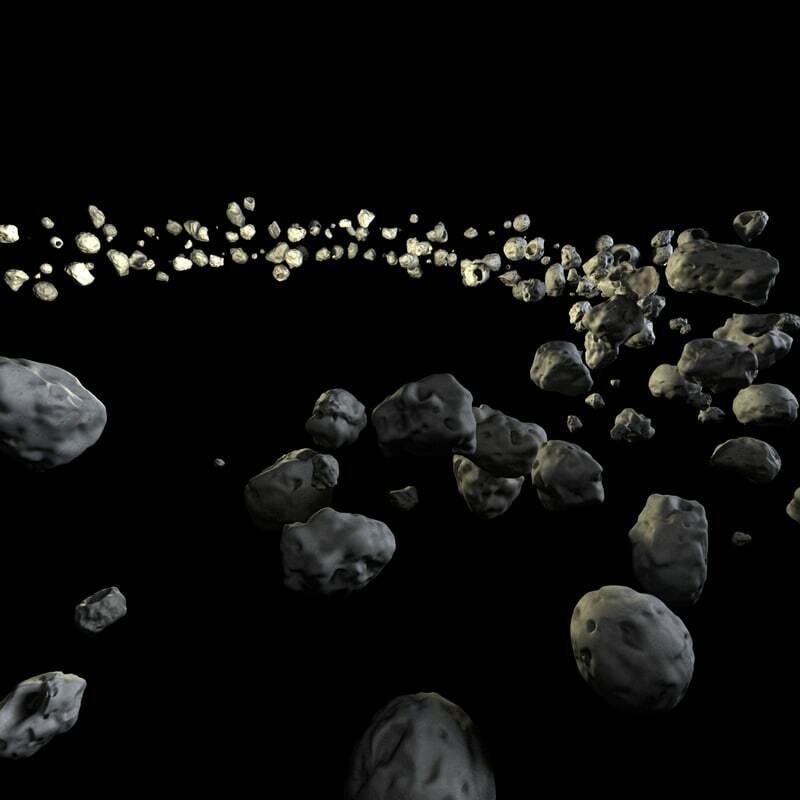 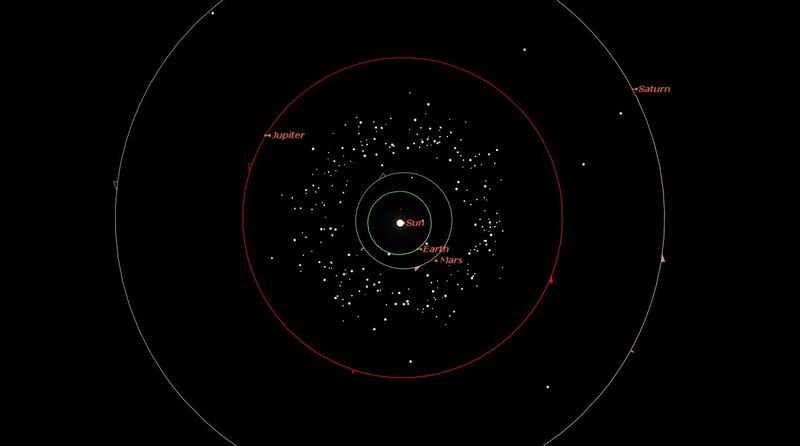 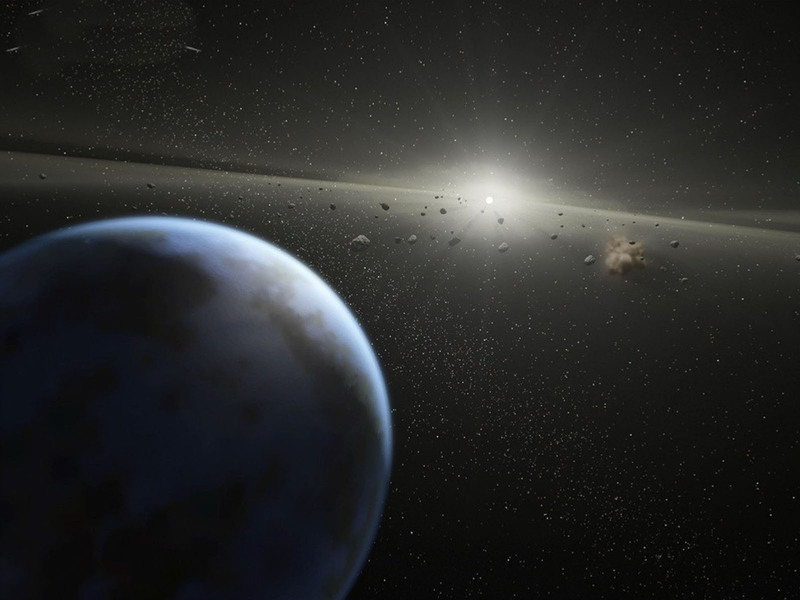 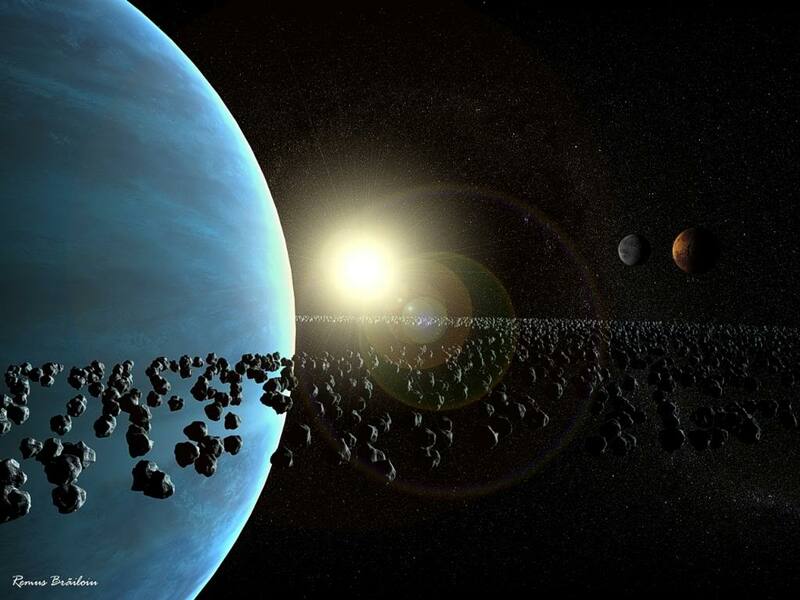 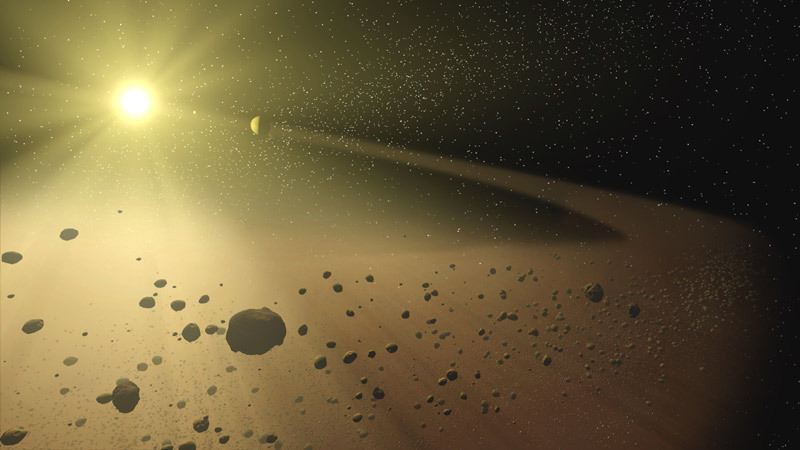 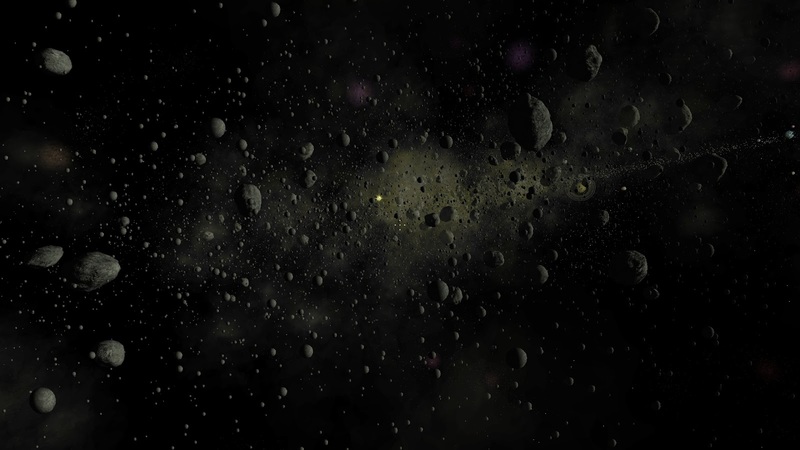 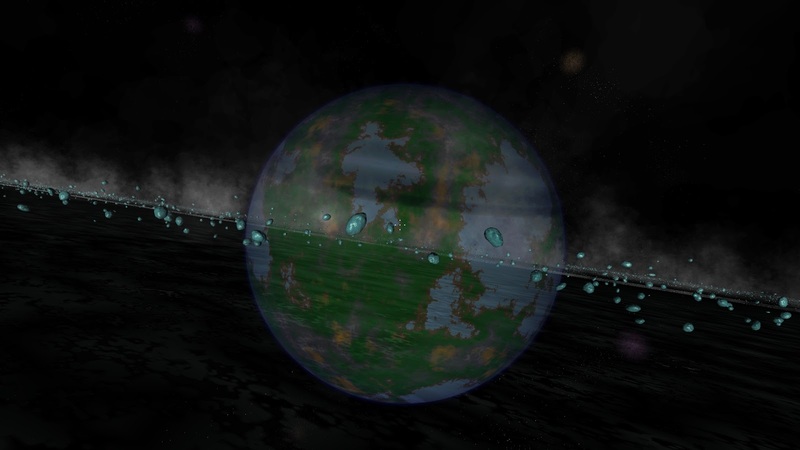 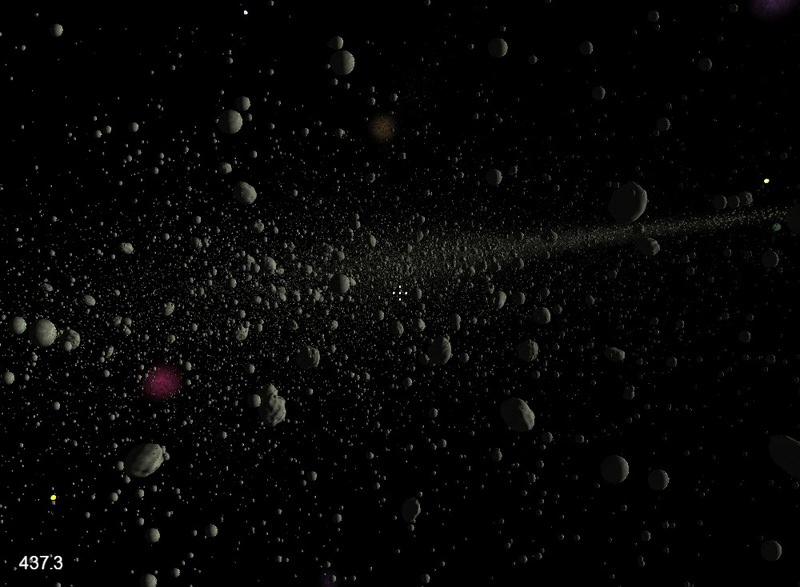 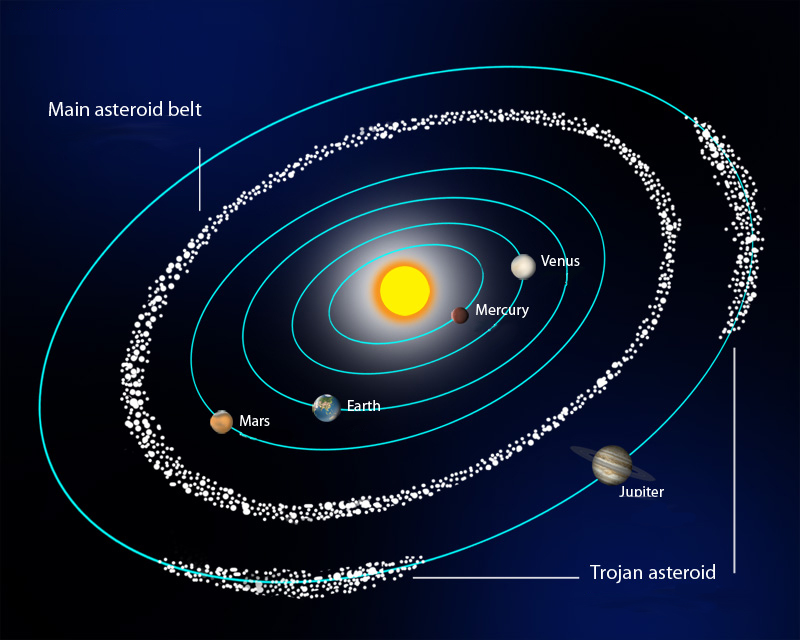 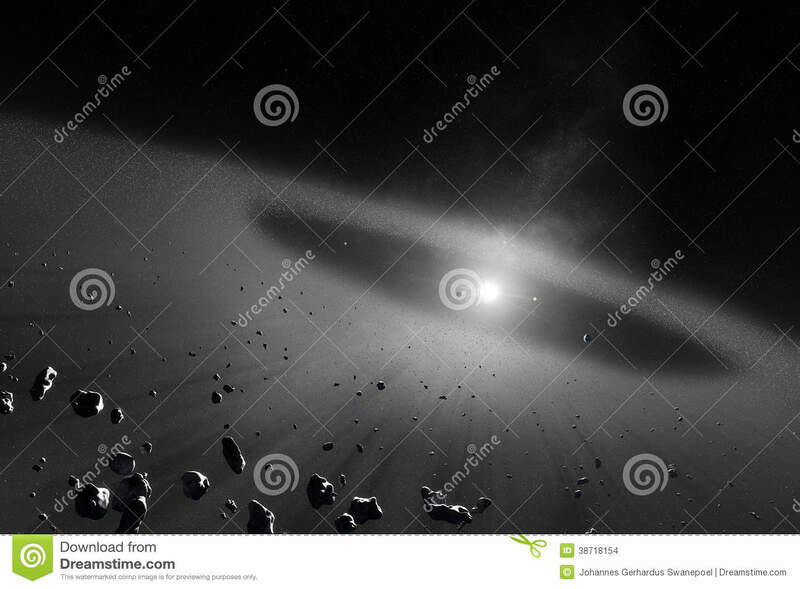 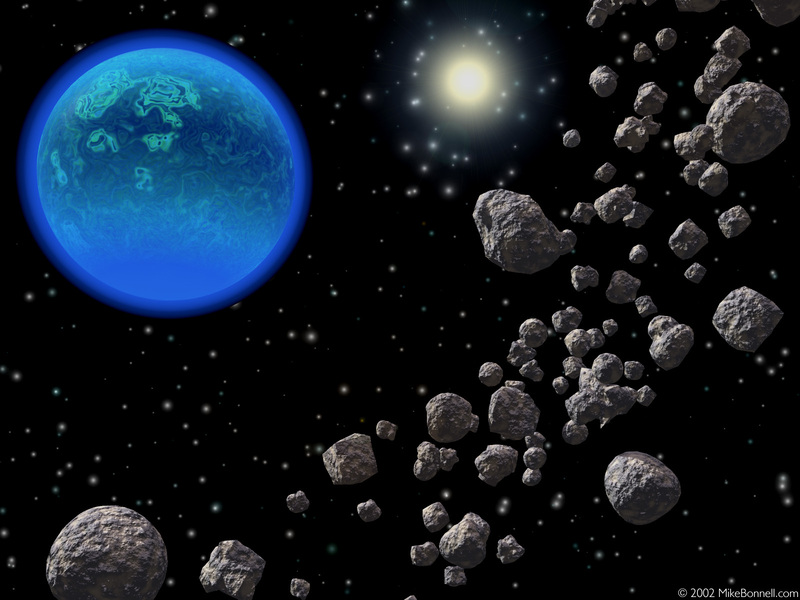 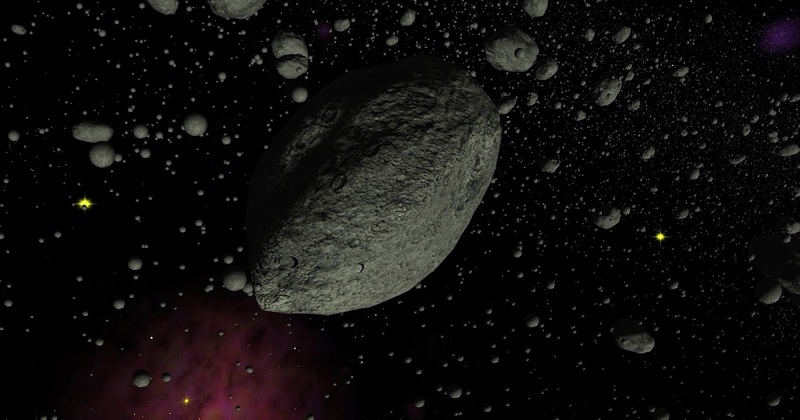 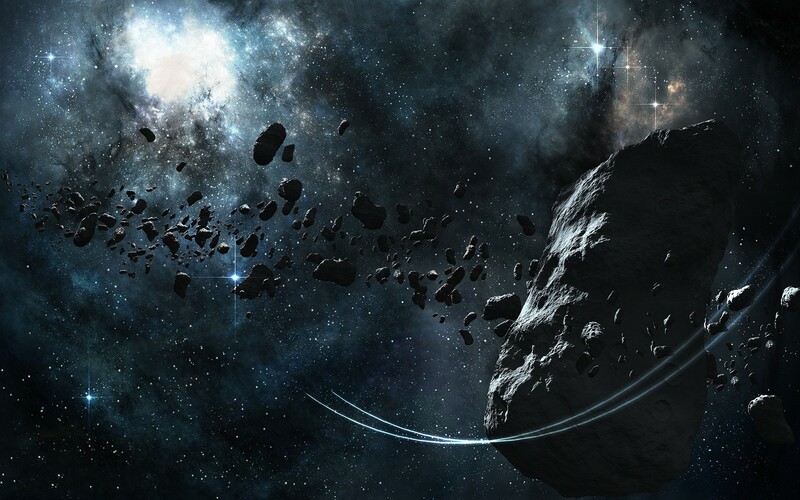 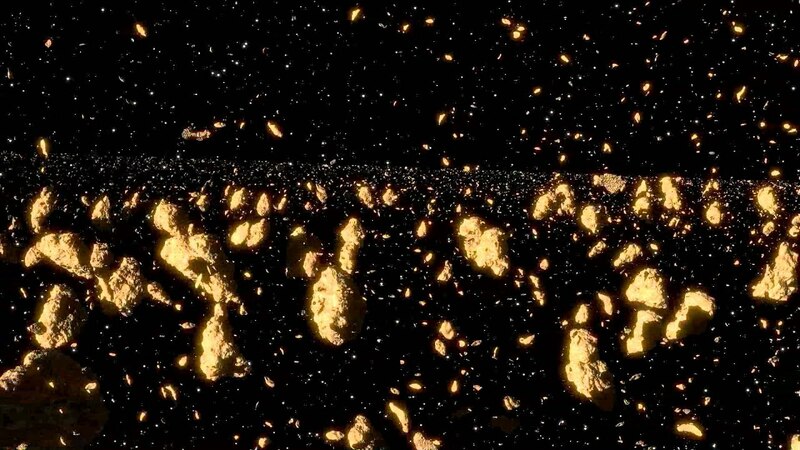 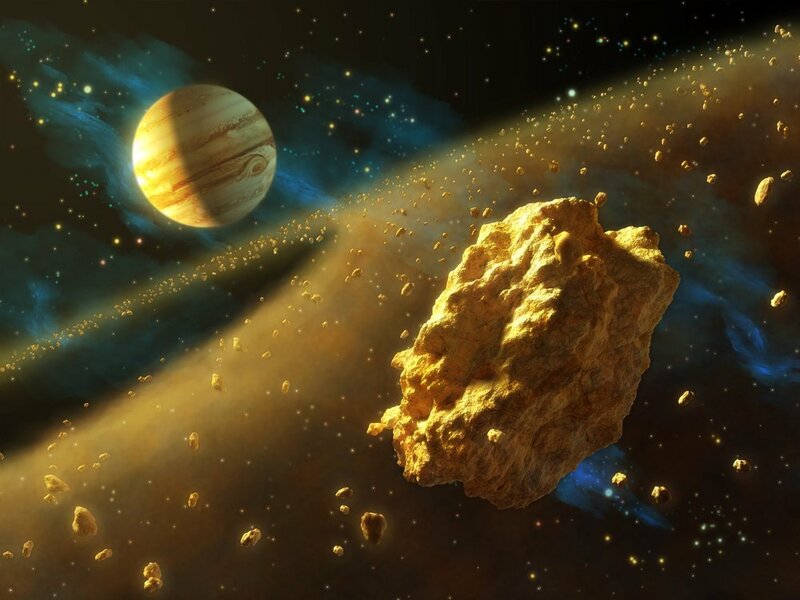 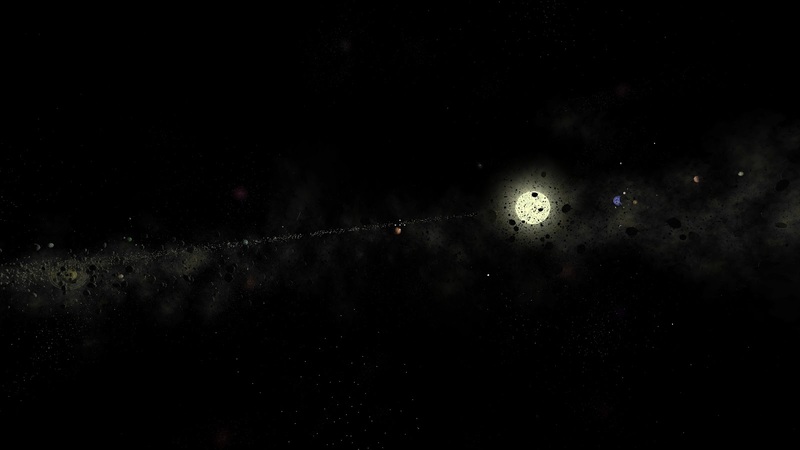 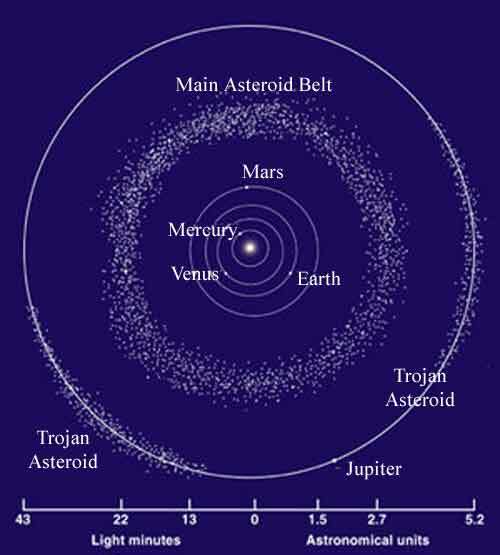 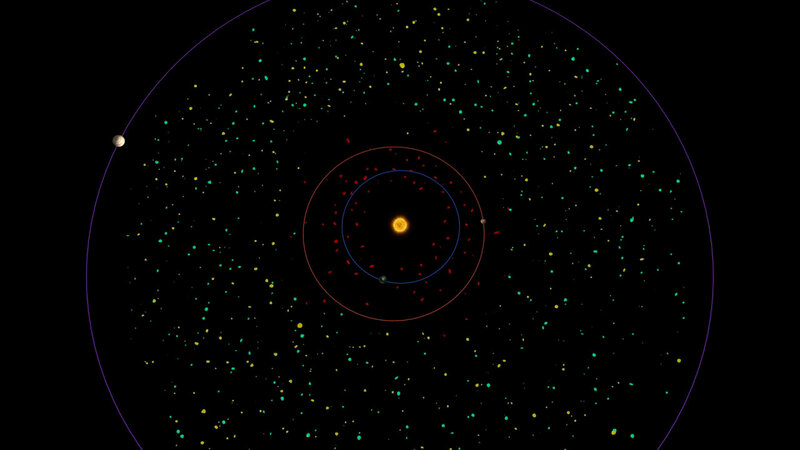 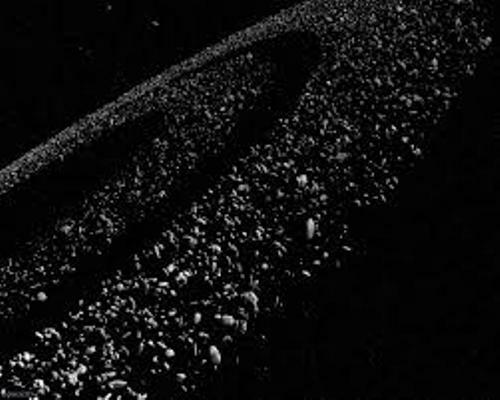 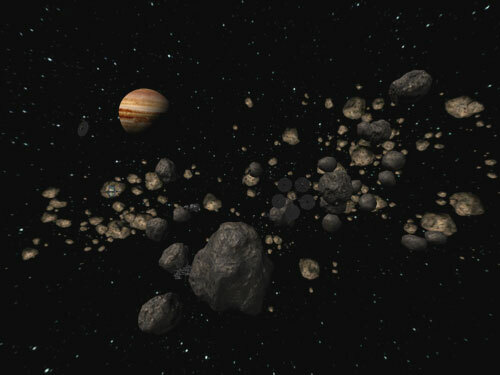 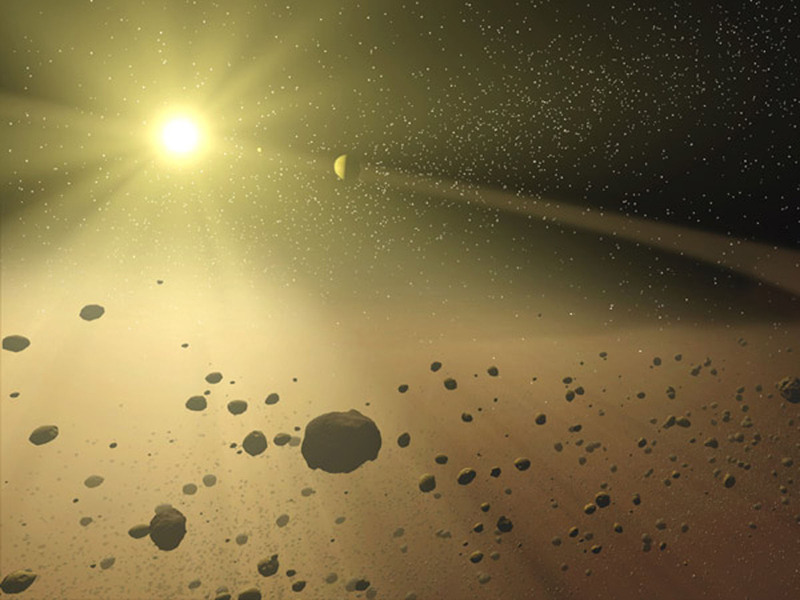 The asteroid belt is also termed the main asteroid belt or main belt to distinguish it from other asteroid populations in the Solar System such as near-Earth asteroids and trojan asteroids. 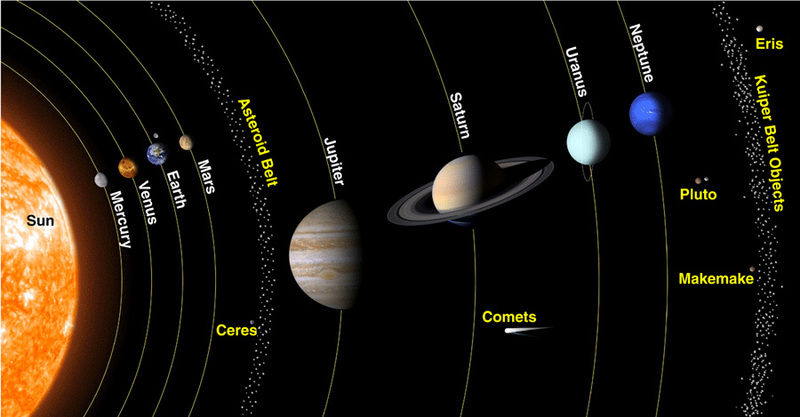 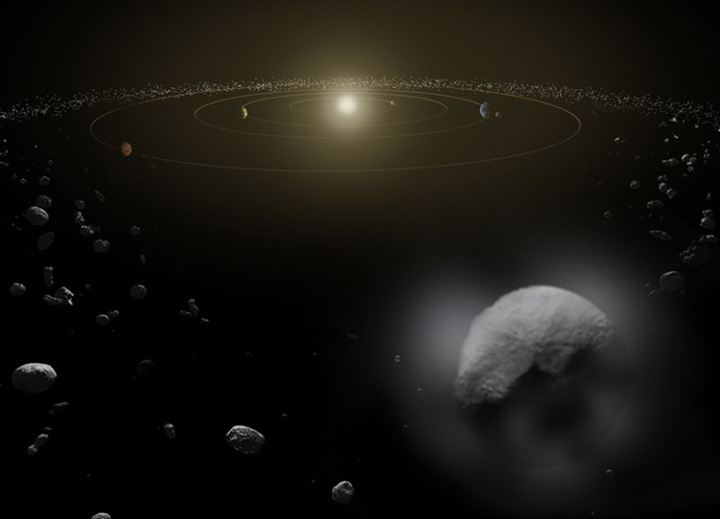 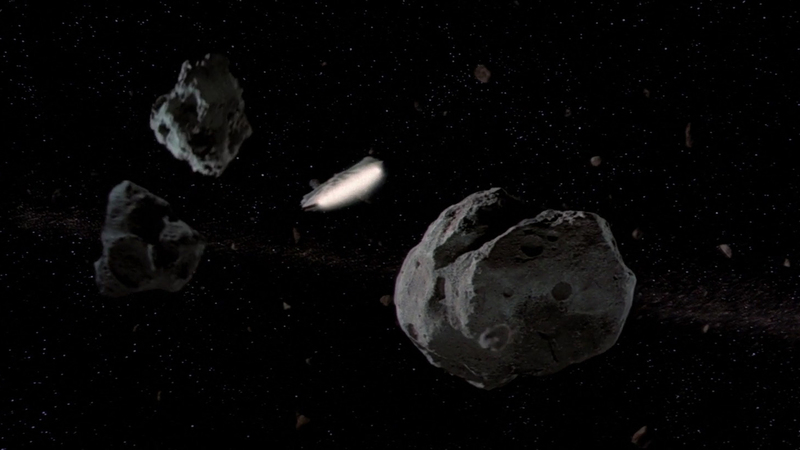 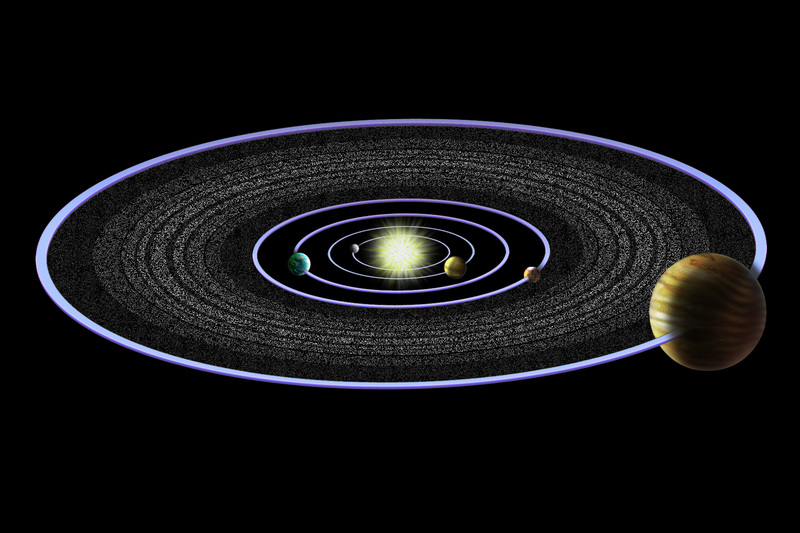 About half the mass of the belt is contained in the four largest asteroids: Ceres, Vesta, Pallas, and Hygiea. 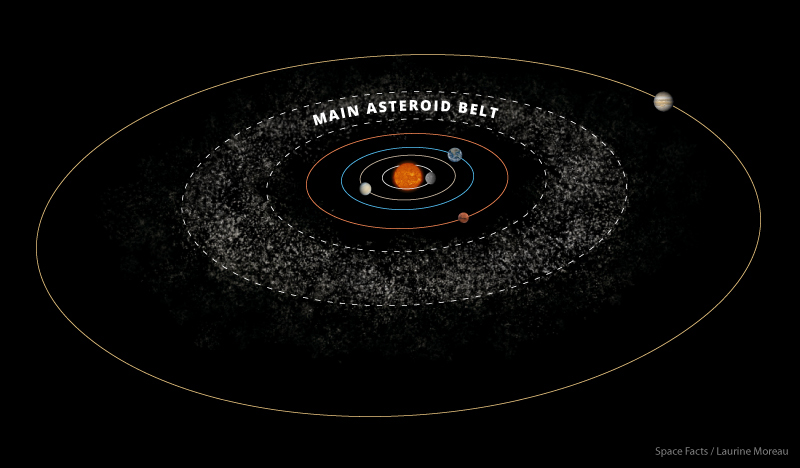 The total mass of the asteroid belt is approximately 4% that of the Moon, or 22% that of Pluto, and roughly twice that of Pluto's moon Charon (whose diameter is 1200 km).